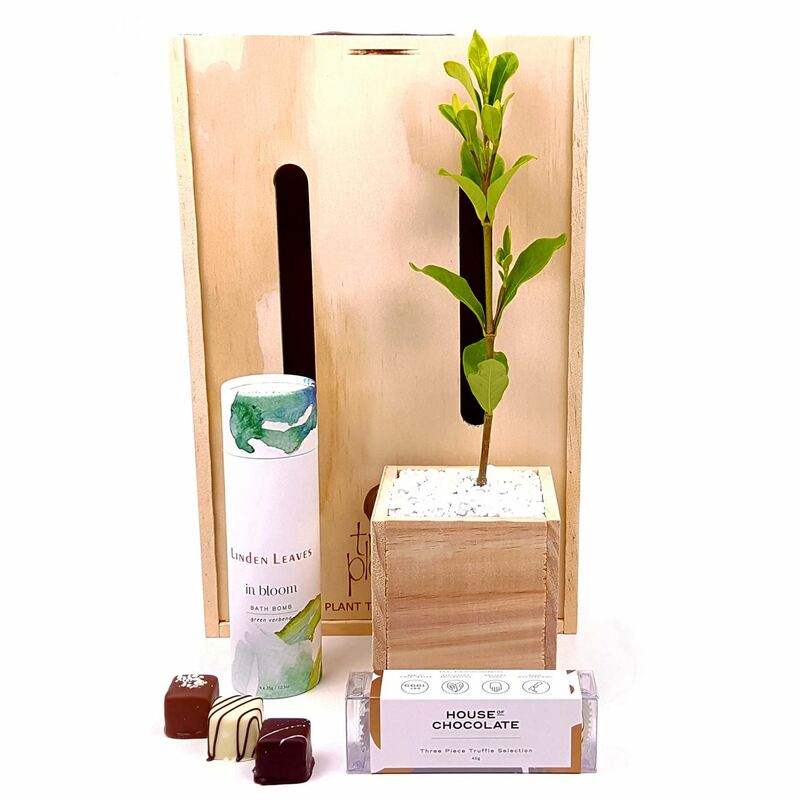 This unusual, luxurious gift includes decadent handmade chocolates, Linden Leaves Bath Bombs and the baby tree of your choice. Sent in our custom made sustainable pine wooden box. A Baby tree of your choice , potted in High quality potting mix so there is no rush for the recipient to re-pot or plant. Delivered in our purpose-designed pine gift box. The tree in a pine planter with white river stones.